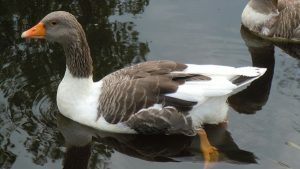 The Oland Goose is a breed of domestic waterfowls that has a very primitive history, so much so that, nothing in particular is known about their exact origin. Developed in the Öland Island in Sweden, this is an extremely rare variety of geese, and has been declared as critically endangered. 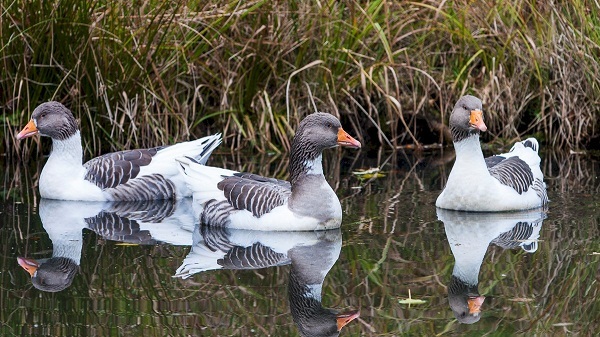 They are known for their typical white and grey coloration. 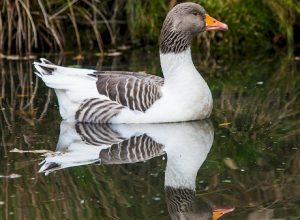 It was around 2500 years that the first population of geese was reared in the Scadinavian regions. Beginning in the 1800s, these birds began to be domesticated as pets in Öland, as well as in Småland and the northern parts of Skåne. With time, the local species began to vanish from the regions one by one, except for the Öland and the Skåne breeds. 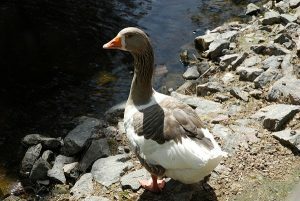 In 1920, the Öland breed was standardized after it was domesticated as a locally adapted, traditional variety of geese primarily in Öland and Götaland. Since 1970s, however, the breed has started to get almost extinct. The female Oland goose has a strong maternal instinct. They lay around 20-30 eggs per season, and take care of the young goslings. They were mainly reared for their meat, and also as guarding animals. At present, there are approximately 111 registered specimens in Sweden.